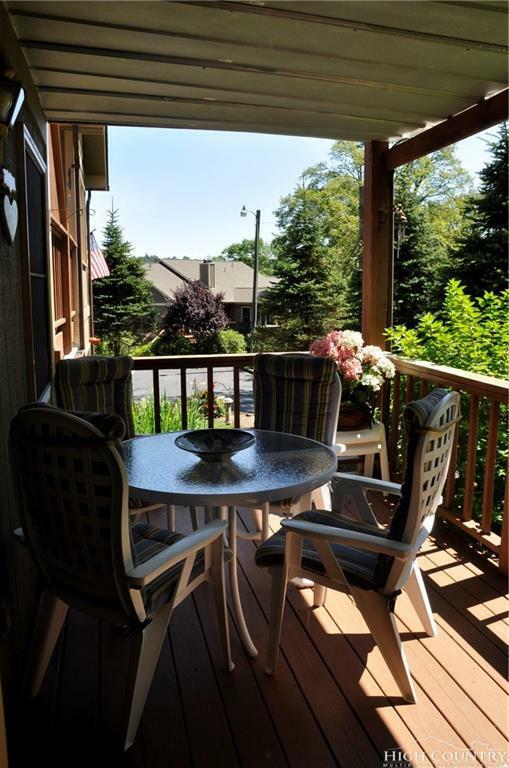 Ideal Glen Burney condo location with only a FEW STEPS to one level, no maintenance living. 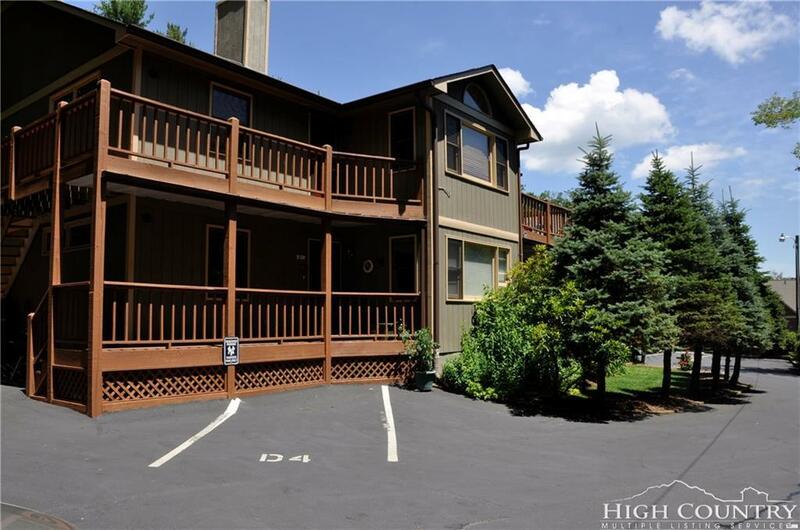 The beauty of this unit is that it's practically on the second floor with a comparable view. This retreat is tucked back among the evergreensaway from the bustle in the newest building in the community. 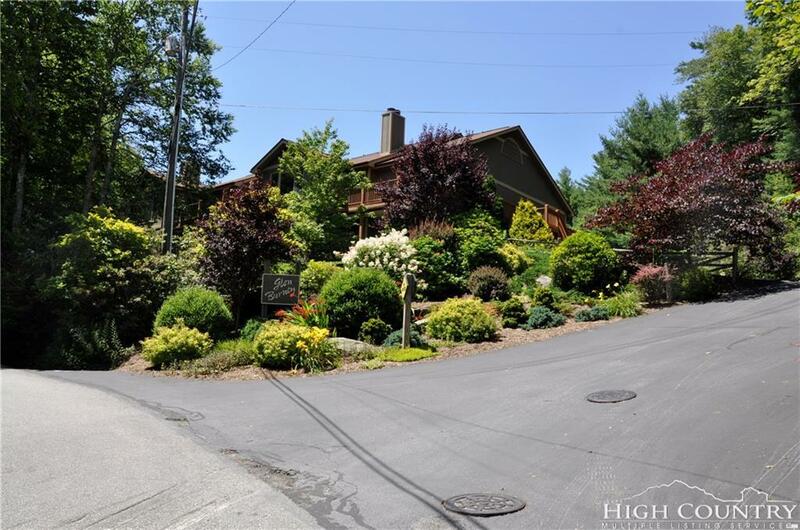 All within walking distance to Downtown Blowing Rock near Glen Burney Trail, Park, pool, shops, and restaurants. 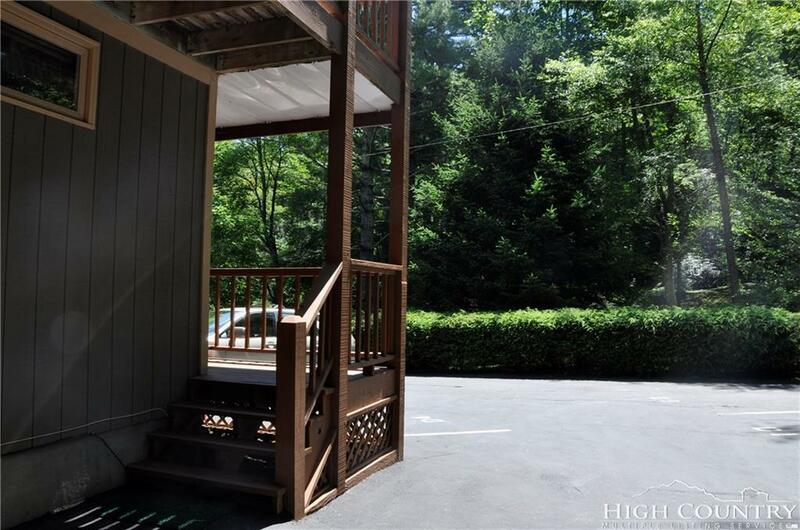 This Condo offers 2BR/2BA, glowing wood floors in Dining, a stone, wood burning fireplace, spacious Master with walk in closet, custom blinds in sun room, ceiling fans throughout, new roof in 2016, and a covered porch off sun room and master bedroom to enjoy tranquility and cool, mtn breeze. Furnished with exceptions.